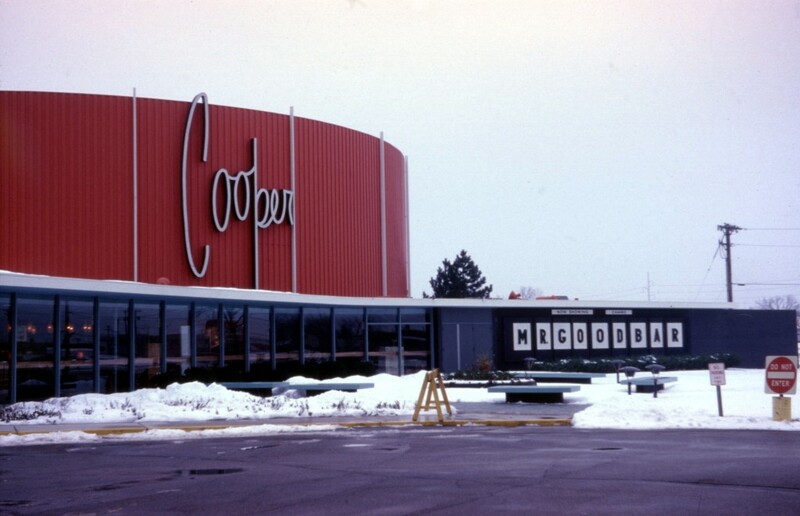 St. Louis Park’s Cooper Theater opened on August 8, 1962 at 5755 Wayzata Blvd. Hubert Humphrey and his wife were co-hosts at the invitation-only grand opening. Trustees of the Cooper Foundation (see Other Theaters, below) hosted a dinner at the Radisson Hotel before the showing of “The Wonderful World of the Brothers Grimm.” George Pal, producer of the MGM movie, was at the dinner and the showing of the film, which was the first Cinerama film to tell a story. A walnut-paneled foyer of 3,000 square feet is decorated in black brick with bitter-sweet (burnt orange) upholstery fabric and a sky-blue acoustic plaster ceiling. a patterned carpet with a deep blue background lies underfoot. Intermission smoking can be in a special outside patio, divided from the foyer by ceiling-to-floor glass. It has an outdoor black brick fireplace and a lighted fountain. Black Roman brick masonry forms the base of the exterior of the circular building, topped by bittersweet-colored prefabricated Monopanels. 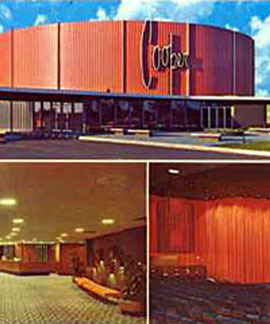 The theater was meticulously maintained – reportedly the lobby was repainted monthly. The screen was the largest ever installed; 35 feet high with a 105-foot-wide curve. The auditorium was described by the Star Tribune as a “perfect circle without a quivering piece of hardware.” One wag said it was haunted by a workman who died building it. There were smoking platforms on the sides. Usherettes wore uniforms – black dresses with pearls – and special costumes for special films. One former usherette remembers wearing hoop skirts for “Gone With the Wind.” The theater eschewed popcorn and pop for Swiss chocolate (Toblerone – the “World’s Finest Chocolate Bars”) and juice, served during intermission. The theater was one of three in the country to be specially outfitted for Cinerama (see the bottom of this page for information on the other two). The picture itself is played upon a gigantic curved screen, giving the viewer an impression of actual participation in the scene around him. “This Is Cinerama,” the only movie released to date in this medium, is a travelogue. Beginning with a whirling roller coaster ride, the scene shift to a beautiful cathedral, the canals of Venice and to Florida’s Everglades among other places and is climaxed by an airplane tour of the entire United States. A controversy has been raging in Hollywood over additional Cinerama productions. The latest decision is to continue releasing travel pictures. “This is Cinerama” closed on July 26, 1955, and a new film, Louis de Rochemont’s “Cinerama Holiday,” made its debut at the Century. In 1963 70 mm was installed at the Century for the showing of “Cleopatra,” which was presented there for over a year. After another long run of “The Unsinkable Molly Brown,” the theater was closed in the fall of 1964 and a fire gutted the building a couple of weeks later. It was demolished in February 1965. A list of all of the movies that played the Cooper, the Cooper Cameo and Cooper 1 and 2 was compiled by three projectionists that worked the Cooper: Francis May, Joseph T. Lewis and Michael J. Varani. Fran May and Joe Lewis worked the Cooper from day one as part of the original Cinerama crew. Mike was hired when Fran May retired in 1980. Joe Lewis worked with Mike part time up until his retirement in 1987. Mike compiled all of the movies and brief equipment and ownership changes from 1980 to the 1991closing. Fran and Joe are responsible for the content from 1962 to September of 1980. The following are some milestones in the history of the theater, taken with permission from the database. The first movie shown was the “Wonderful World of the Brothers Grimm,” on August 9, 1962. The ad in the Minneapolis paper had a list of places in outlying cities where one could buy tickets, and a coupon one could send in to buy tickets in advance. 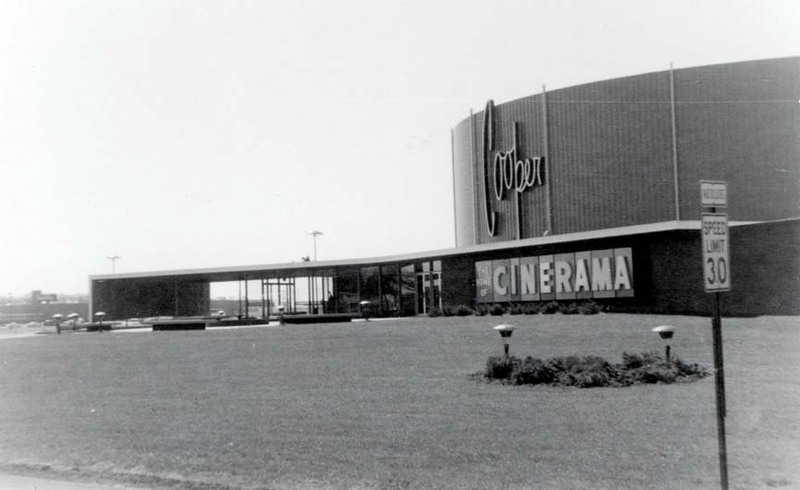 When the Cooper played Cinerama, it was “hard ticket” meaning a patron bought a ticket for a specific seat. 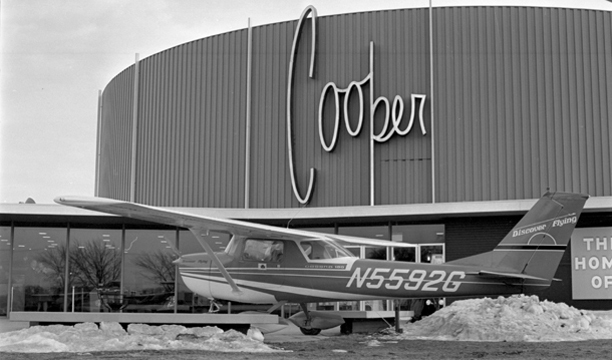 The local premiere of “Airport” was held at the Cooper, on or around March 5, 1970. The event was a fundraiser for the Minnesota Association for Retarded Children, raising $30,000. The Humphreys were in attendance, as were local celebrities Johnny Canton and Nancy Nelson who were in the movie. Jacqueline Bisset was also there, and some patrons arrived by small planes that landed right on the grounds. One plane was on the grounds throughout the entire run of the movie. On December 25, 1975, the Cameo Theater opened. 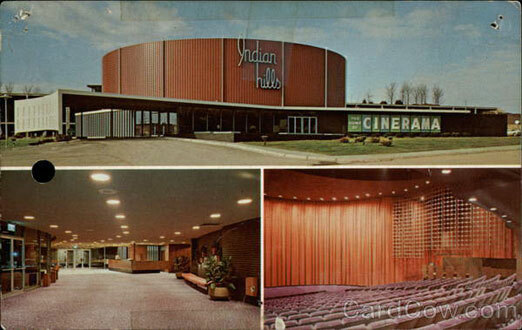 This smaller theater (300 seats) was built onto the existing structure – the big screen was never divided. A Dolby CP 100 Unit was installed in December 1978. On November 19, 1979, the theater was acquired by Plitt North Central Theatres. In April 1982, a new screen and a Dolby CP 50 stereo unit were installed. On November 12, 1982, the Cameo name was dropped and the theaters were known as the Cooper 1 and 2. 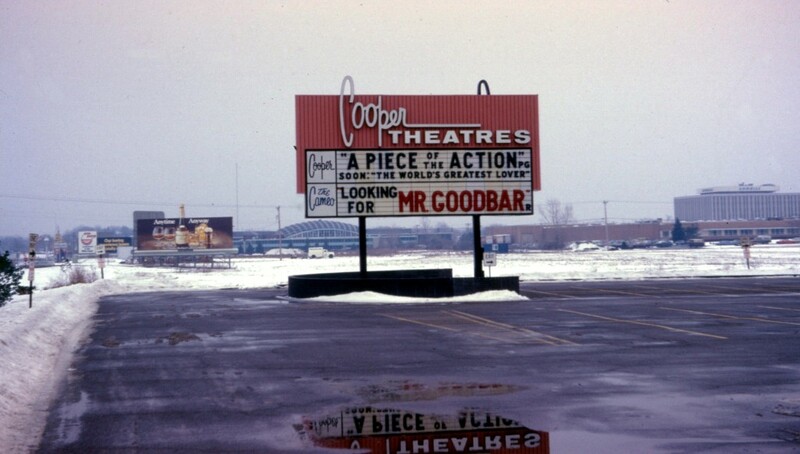 On November 7, 1985, the St. Louis Park Cooper Theater was the scene of the premiere of “That Was Then, This is Now, a movie based on a book by S.E. Hinton and co-starring Emilio Estevez. EE did not attend. On November 22, 1985, Cineplex Odeon acquired Plitt North Central Theatres. On June 22 and 23, 1987, Screen 1 closed to install Xenon and Platter. But the market for Cinerama was limited and new and better technology came along. The theater fell into disrepair as receipts could not keep up with maintenance costs. The owners could no longer afford to operate it, and the death knell rang. The opening of the Willow Creek Odeon complex, just three miles away, did not help the situation. There was a concerted but failed effort by many, including architect Gail S. Anderson, to save it as a National or State historic landmark, but the structure was not yet 50 years old. St. Louis Park did not have any similar ordinances, so the theater was done. The last two movies, “Dances With Wolves” on the Big Screen and “Godfather III” on the small screen, were shown there on January 31, 1991. A correspondent who attended “Godfather III,” which got out after “Dances With Wolves,” was over said that when walking out, they were already removing chandeliers and other decorations, but that’s been disputed. The property, now just 2.2 acres, was razed in September 1992, at the time to make room for an Olive Garden restaurant owned by General Mills. Olive Garden went in elsewhere, though, and the site is now Stahl Construction. Lost Twin Cities III has a segment on the Cooper that has many great photos of the building as well as video of its demolition. See their web site for a gallery of photos, some from Keeper-of-the-Flame Mike Varani. 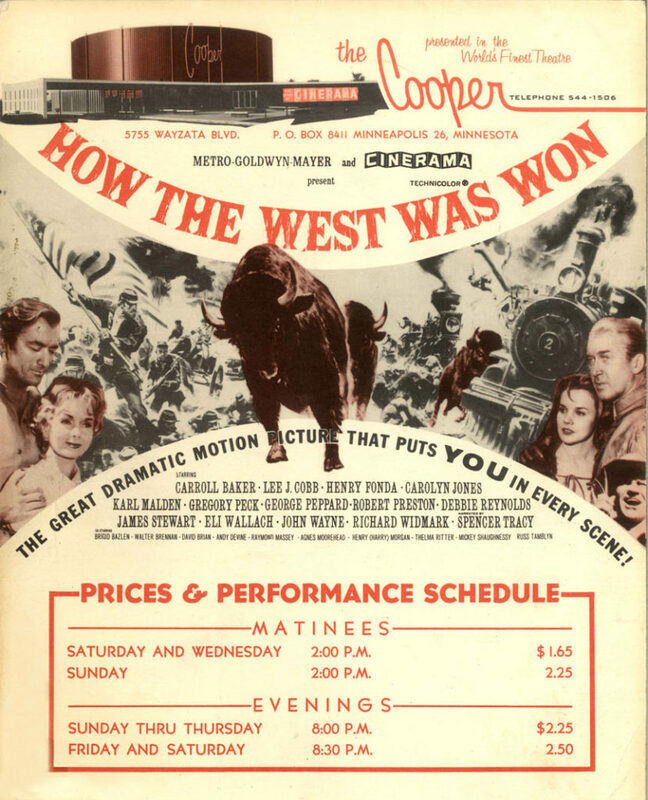 “How the West Was Won” was shown in 1963-64. There were two other nearly identical theaters built around the same time, all by the the nonprofit Cooper Foundation of Lincoln, Nebraska, a charitable and educational organization established in 1934 by Joseph H. Cooper, a long-time theater owner and former partner of Paramount Pictures. The Foundation supports nonprofit organization organizations in Lincoln and Lancaster County, Nebraska. The foundation once owned and operated fifteen theatres in Colorado, Nebraska, Oklahoma, and Missouri. It sold off its theater interests in 1975. The theaters were designed by architect Richard L. Crowther of Denver. The original blueprints for the theaters are in the Denver Public Library Special Collections Department. 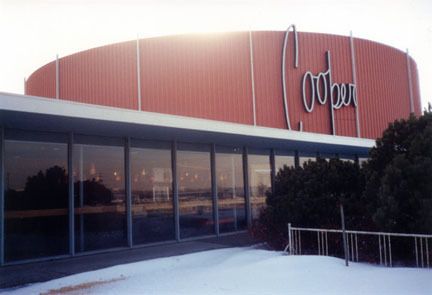 The first Cooper Theater was located at 860 S. Colorado Blvd. in Denver. It opened on March 9, 1961. It featured a 146-degree louvered screen (measuring a massive 105 feet by 35 feet), 814 seats, courtesy lounges on the sides of the theater for relaxation during intermission (including smoking facilities), and a ceiling which routed air and heating through small vent slots in order to inhibit noise from the building’s ventilation equipment. It was demolished in 1994 to make way for a Barnes & Noble Bookstore.